The clocks went back an hour this weekend so expect darker evenings and a need for more cosy interiors. You’ll have probably noticed an abundance of red and gold leaves suddenly greeting you these last few mornings, a carpet of autumnal colour filling the roads and pavements. This is a stunning time of year and really captures the essence of our British seasons, so try to embrace this look in your home. This year the woodland trend has really taken hold, we’re seeing a lot of deer, squirrels and owls featured on the high-street. Woodland interiors are perfect for the Autumn season and can be adapted easily for a festive décor during the Winter months. 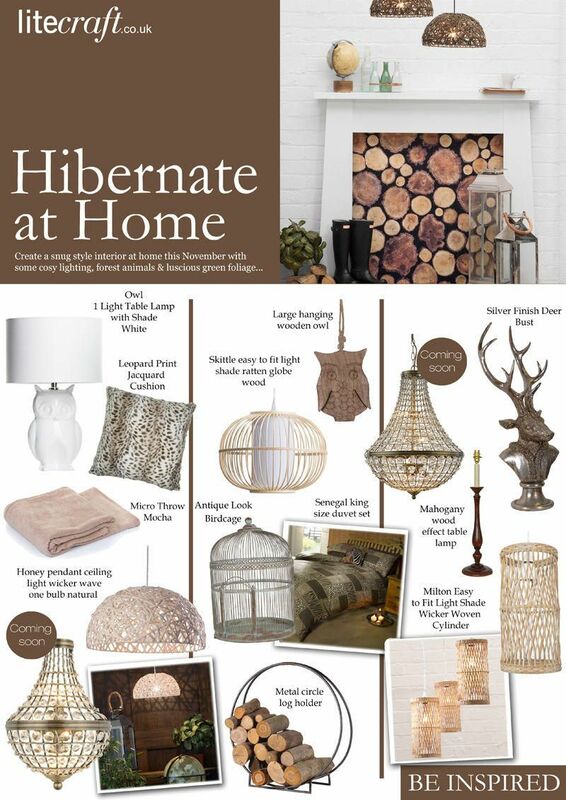 Hibernate at home is an essence of woodland interiors, we’ve combined cosy lighting, forest animals and organic wood finishes for an earthy look. We’ve thrown in our new Antique Brass designs too to give a nostalgic touch. 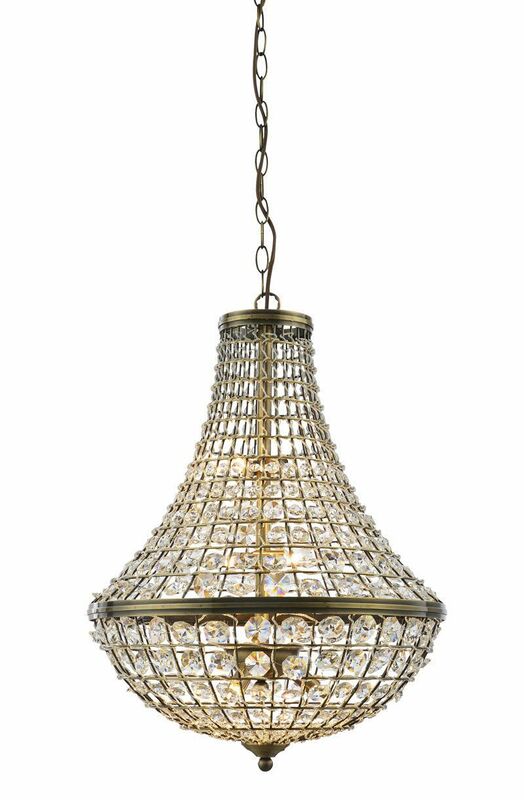 Brass and bronze metal finishes will add a warm and welcoming aura as well as giving a vintage touch. Our new line of crystal basket fittings that will be arriving in the coming days will give a nostalgic and traditional touch to this trend. Place together with birdcage style ornaments and other brass finished accessories. Introducing textures and layers is a must for Hibernate at Home style interiors, give yourself and your guests the option to snuggle up on the sofa when they visit by adding some throws and cushions into the mix. Choosing soft furnishing for your interiors not only adds warmth but will also add depth and layering, creating a more interesting and cosy feel to your room. 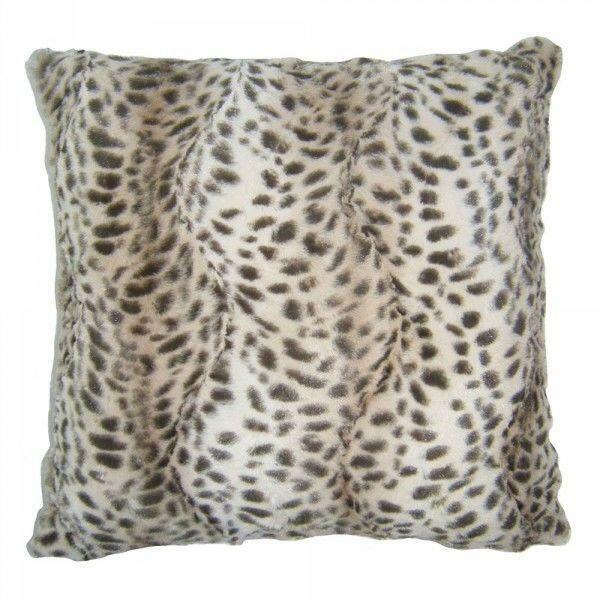 Choose animal print cushions and faux fur designs to up the comfort factor. Our Leopard Print Jacquard Cushion is the ideal candidate, featuring a soft faux fur finish, a leopard print design adds a natural and organic touch. Hibernate at Home interiors wouldn’t be complete without sneaking in some animal inspired references. Owls are bang on trend this year, together with deer, squirrel and foxes. Woodland creatures add a frivolous and laid back feeling to a room, they are ideal for an Autumnal décor and can liven up a room with some enchanted flare. Our Owl Table Lamp arrived two weeks ago and has already made quite an impression. 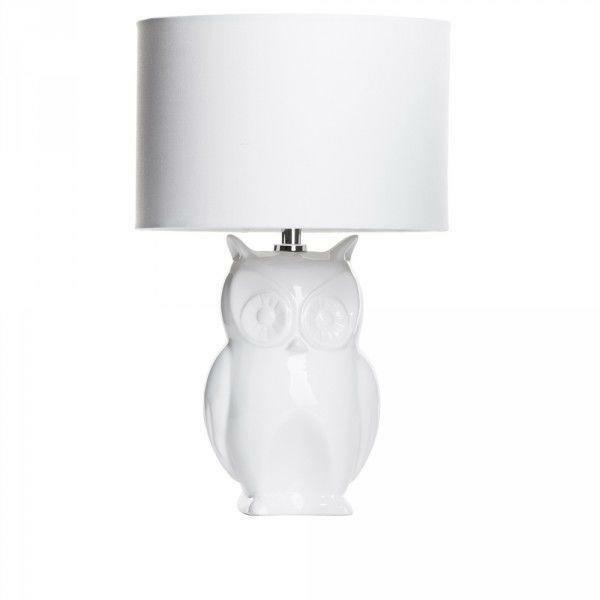 This cute addition to the Litecraft family features a gloss white owl sculptured base with complimenting white fabric shade. When lit, the shade diffuses the light giving a softer and more subtle illumination, which in turn creates a warmer autumnal ambience. Further enhance the forest creature feature by adding owl and deer wall decoration. 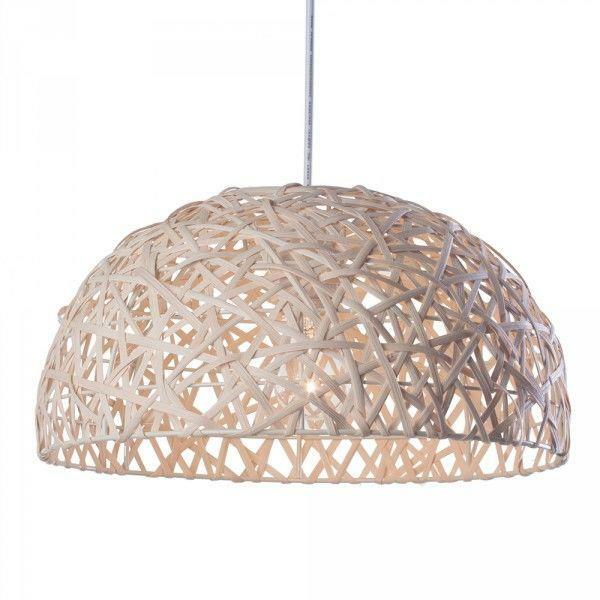 To keep your interior fully organised choose rattan or wicker style ceiling lights. This style of lighting will bring the whole woodland theme together. 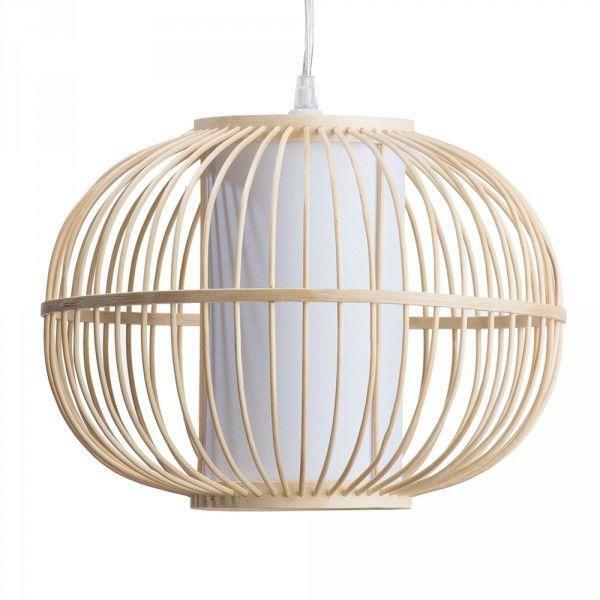 Choose from our wide range of wicker and rattan designs, whether its a birdcage style or birds nest design, dome or cylinder shaped, we have something to suit all interior tastes. 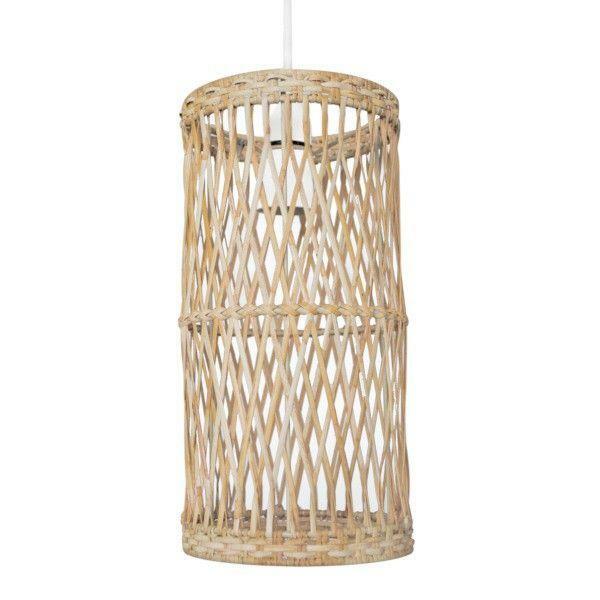 For this weeks look book we’ve chosen our Honey Pendant Ceiling Light Wicker Wave, our Skittle Easy to Fit Light Shade Rattan Globe and our Milton Easy to Fit Light Shade Wicker Woven Cylinder, all these fittings are finished in a soft white washed neutral tone giving a calm and soothing ambience to your interiors. 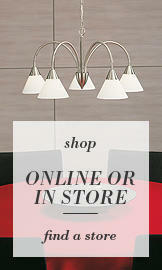 For more details and delivery availability on our new arrivals, contact our Customer Enquiry Centre.